Very delicate, delicious dessert with a creamy note. 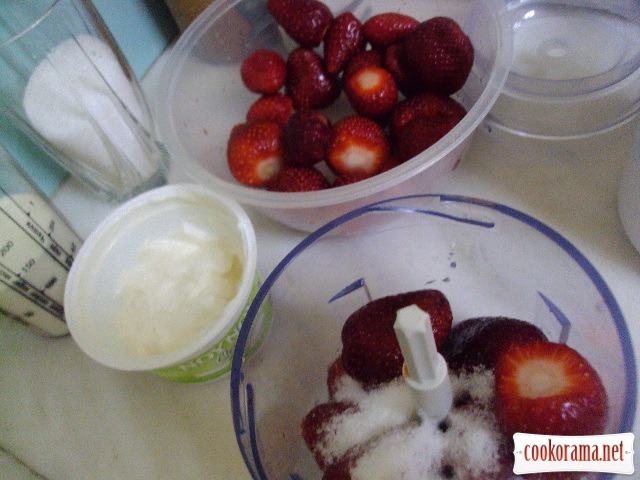 Wash and clean strawberries. 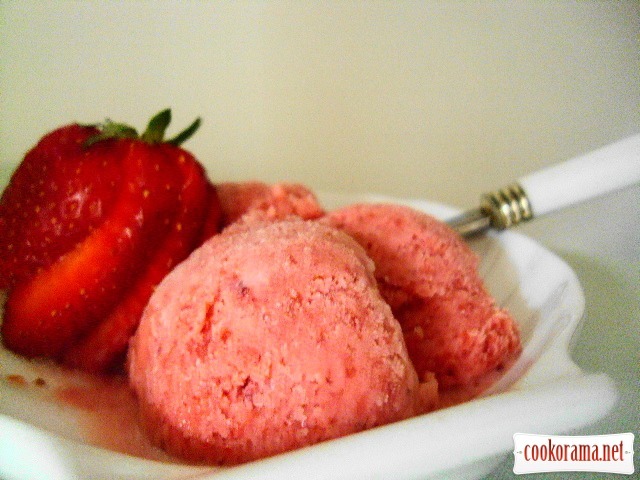 Mashed strawberries with sugar in a blender. 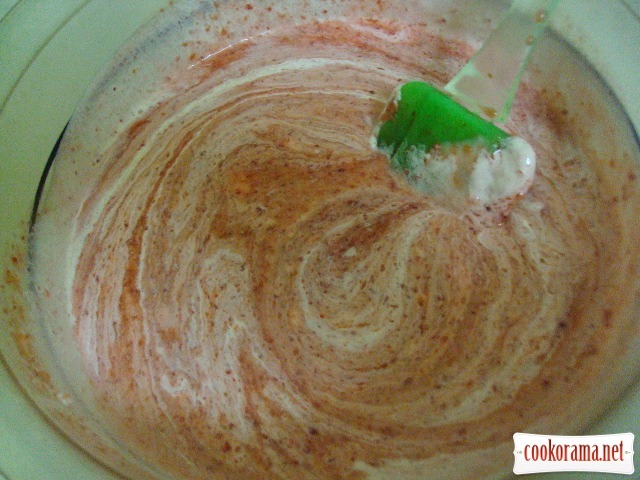 In the deep, better metallic bowl, mix strawberries with sugar, cream and yogurt until smooth. Cover with cling film and place in the freezer to cool. 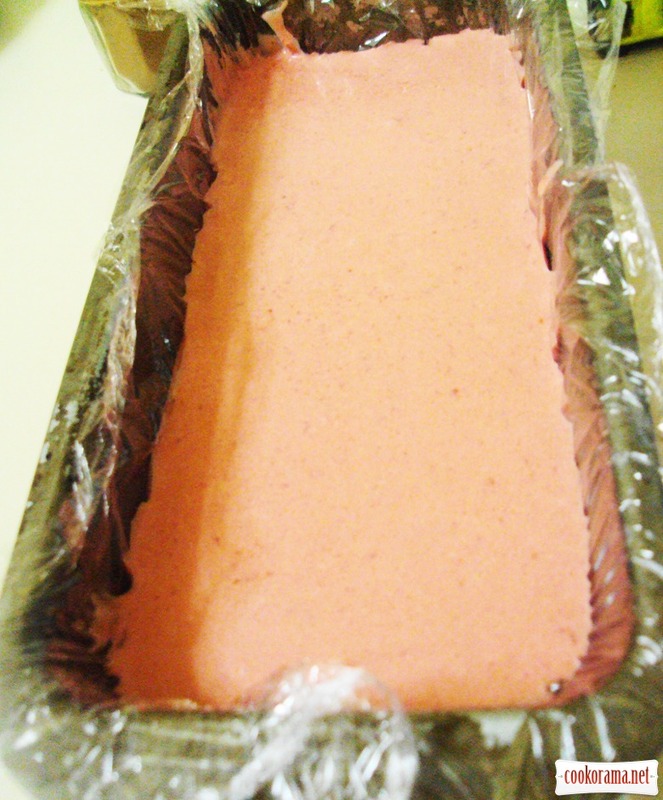 After 20 minutes, get bowl out of the freezer and lightly whisk the strawberry puree. Repeat this process 4-5 times every 20 minutes. It is done in order to parfait was gentle, not stone. P.S. If you have a freezer, follow the instructions. Lay cake pan (20-10) with cling film. Put it strawberry puree. Tightly cover with cling film and chill in the freezer for at least 4-5 hours. Prepared parfait release from the film, put onto a plate. 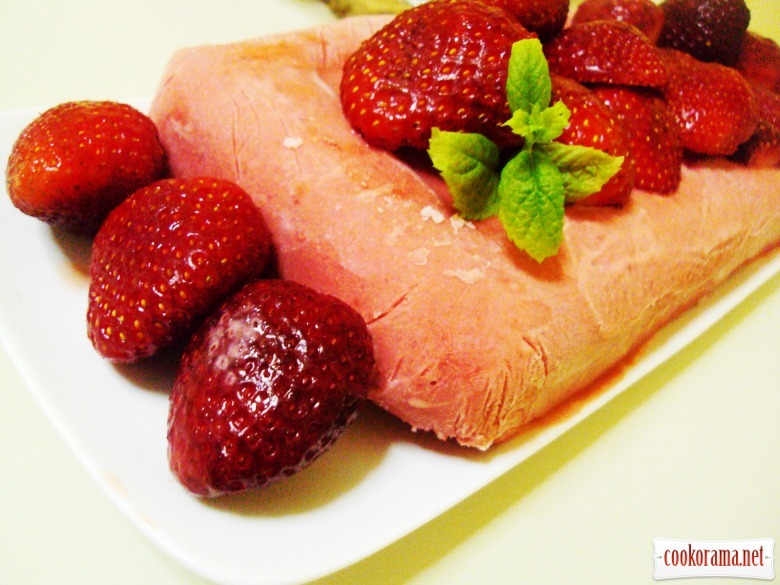 Garnish with strawberries and enjoy dessert. 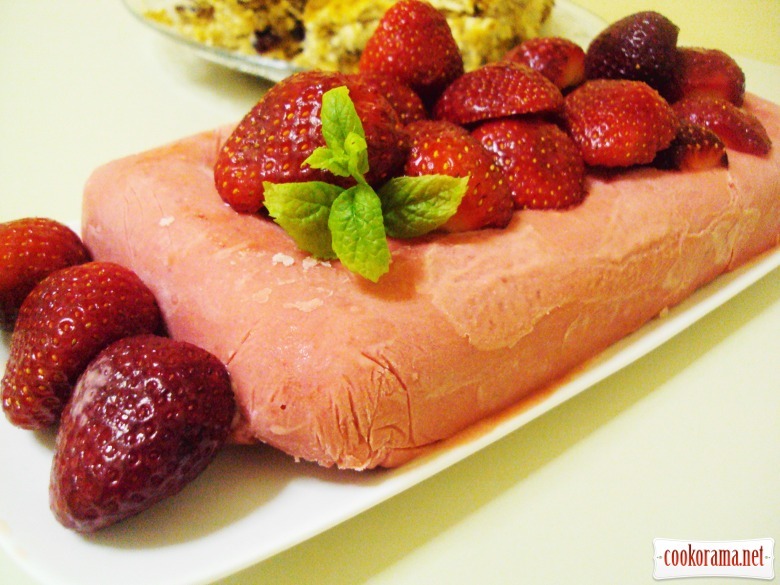 Top of recipe "Strawberry parfait"
А наiстись, так i не наiлись.